On Saturday, thousands of protesters angered by Trump’s expected Monday attack on two national monuments in Utah rallied in Salt Lake City, just two days ahead of his visit. 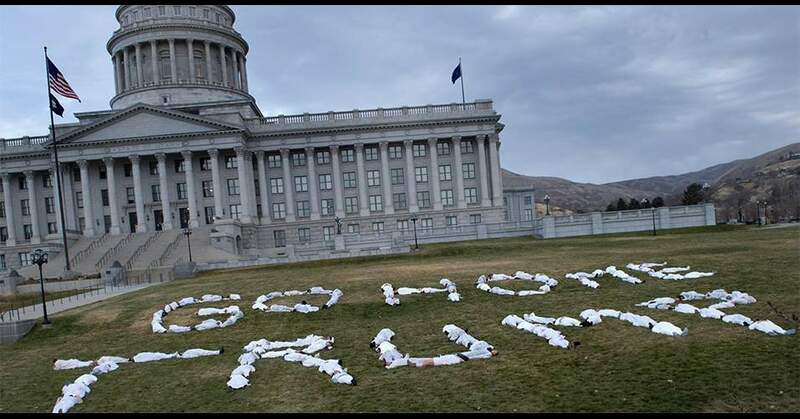 “Go Home Trump,” was the message spelled out by 113 protesters dressed in white jumpsuits. 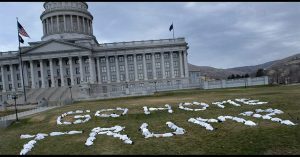 Artist Cat Palmer organized the protest Sunday on the south lawn of the Utah Capitol ahead of President Donald Trump’s Monday visit, in which he is expected to dramatically reduce the sizes of Bears Ears and Grand Escalante national monuments. “We don’t have somebody representing our voices right now, right? That’s a problem. Sometimes when we feel helpless we make art hoping our voices will be heard,” Palmer said. “It’s an outlet for people. It’s therapeutic, …. because we are feeling lost right now,” the Salt Lake City Tribune reports. The demonstrators denounced Trump’s expected action, many chanting and holding signs with messages such as “Protect Wild Utah.” Native American groups danced or formed drum circles. 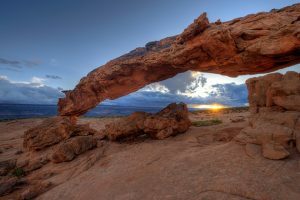 Navajo Nation Attorney General Ethel Branch vowed said the president should see these monuments for himself. “I want him to visit Bears Ears before he takes any action,” Branch said. On Monday, Trump will announce a plan to reduce the size of Bears Ears and Staircase-Escalante National Monuments by nearly two-thirds. Those monuments were designated by former presidents Barack Obama and Bill Clinton. The AP reported that Trump’s move would be the first such act by a president in half a century. Environmentalists and tribal leaders have decried the decision as illegal and an affront to Native Americans.